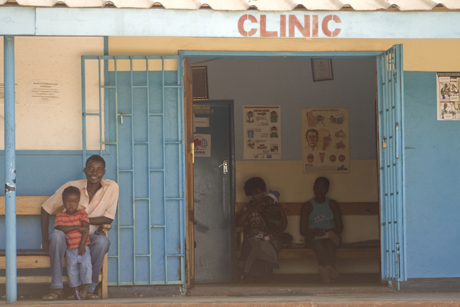 The issue of unequal access to healthcare is not a new one in most societies. Most rational people will agree that healthcare should not be a matter of privilege. Unfortunately, reality is often cruel and we continue to see those without money or means succumbing to illnesses and conditions that treatable and often preventable. When I read a news article about a maternity wing having an inadequate number of beds, thereby forcing expectant mothers to deliver their babies on the floor, outrage is not quite the right word to describe how I feel. There’s a profound sense of remorse that wells inside me to know that my country continues to fail in providing these very basic needs. How is it that in 2012, you can have a clinic in a densely populated area putting at risk the lives of mothers and their children, as well as the health and safety of the attending staff by operating in shambolic conditions? When are we going to say “enough is enough” to the Ministry of Health and every successive government that continually fails at its job? We need to build a quality healthcare system for all Zambians, rich and poor. These ‘shows of force’ by politicians where we see new paint slapped on buildings when donated equipment from donor countries is handed over, need to stop! We cannot continue to be handed down these gestures of goodwill from benevolent leaders and count them as progress. This is indeed a huge undertaking but then again what isn’t when the goal is a structure and system that should outlive its architects. How do we get this word to the powers that be? We need our own show of force indicating our strong support for a serious change to happen.